A dental practice is only as good as its team, and We believe Ridgepointe Dental has one of the best dental teams in the business! Their number one goal every day is to make sure that our patients have the easiest and smoothest dental experience possible. They’ll be the friendly voice when you call, the smile that greets you at the door, and the helpful hand that guides you through your appointments. Below, you can get to know some of the friendly faces you’ll meet at Ridgepointe Dental. Sarah has actually worked on and off at Ridgepointe Dental since she was 14 years old! Happily, she joined the team full-time in 2009. She has taken over 100+ hours of continuing education courses, including courses in insurance coding, sleep dentistry, and implant dentistry. Basically, we couldn’t go a day without her! Away from the office, she enjoys spending time with her husband and 2 sons, as well as crafting, reading, seeing movies, and listening to music. 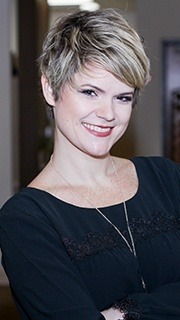 Lara is originally from East Texas and moved to the DFW area in 2008. 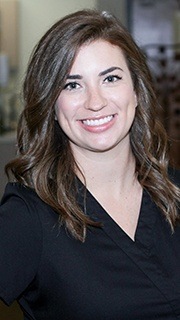 She brings more than 9 years of dental experience to Ridgepointe Dental, and her favorite part of her job is helping patients keep their smiles healthy and clean. At home, she and her fiancé Michael like to stay busy camping, kayaking, and going to as many Rangers games as they can. 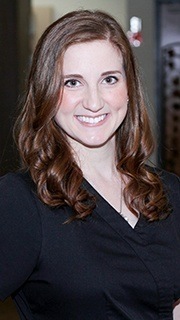 Morgan has been in the dental field since 2014 and was thrilled to join us in 2017. A graduate of Tyler Junior College, she is certified in both nitrous oxide sedation and laser dentistry. Her favorite part of her job is teaching patients about dentistry so they can better understand their dental care. She is married and has two dogs. When she isn’t helping our patients, she likes to cook, read, camp, go boating, and soak up reality TV. 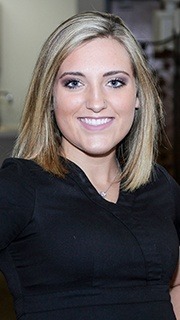 Haley is a graduate of the National School of Dental Assisting and came to our practice in 2016. Her passion for helping people drew her to the dental field and motivates her to take a wide variety of continuing education courses, including courses for nitrous oxide sedation, Six Month Smiles, and much more. When not at work, she is an avid golfer, enjoys spending time with her daughter and fiancé, and likes to shop. Amanda is all about making our patients smile. She joined us in the summer of 2017, and she’ll help you schedule your appointments and can answer any questions you have about insurance a financing. Away from the office, she likes to spend time with her young son, go camping, cook, and attend different sporting events. 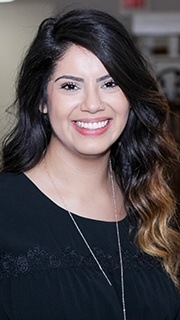 Paola is one of the first friendly faces you’ll meet when you come to Ridgepointe Dental, and you’ll be happy to see her because, among the many things she does, she loves making cookies for our patients! 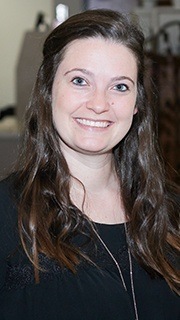 She joined our practice in 2016 after graduating from Brookhaven Community College. When relaxing at home, she enjoys spending time with her family, hiking, crafting, and opening a bottle of fine wine. She is also fluent in both Spanish and English.